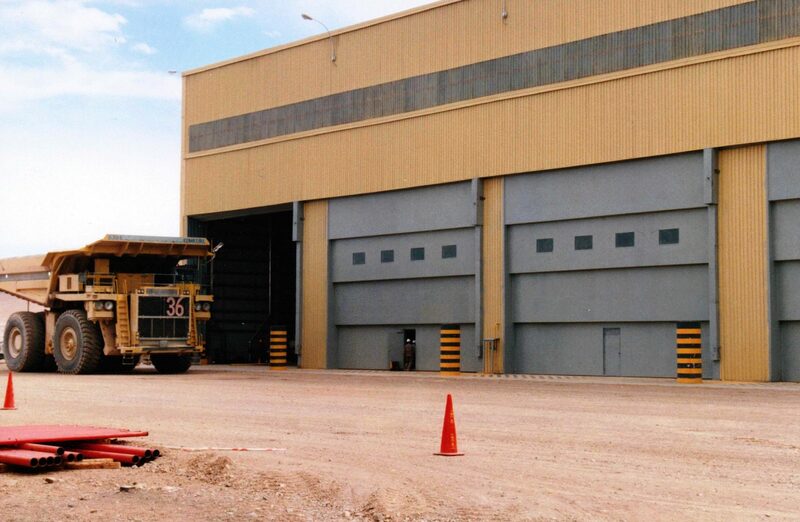 EPD doors have been installed in over 100 mining facilities in 17 states and five countries. Except for doors on abandoned operations, all these doors are still in operation. 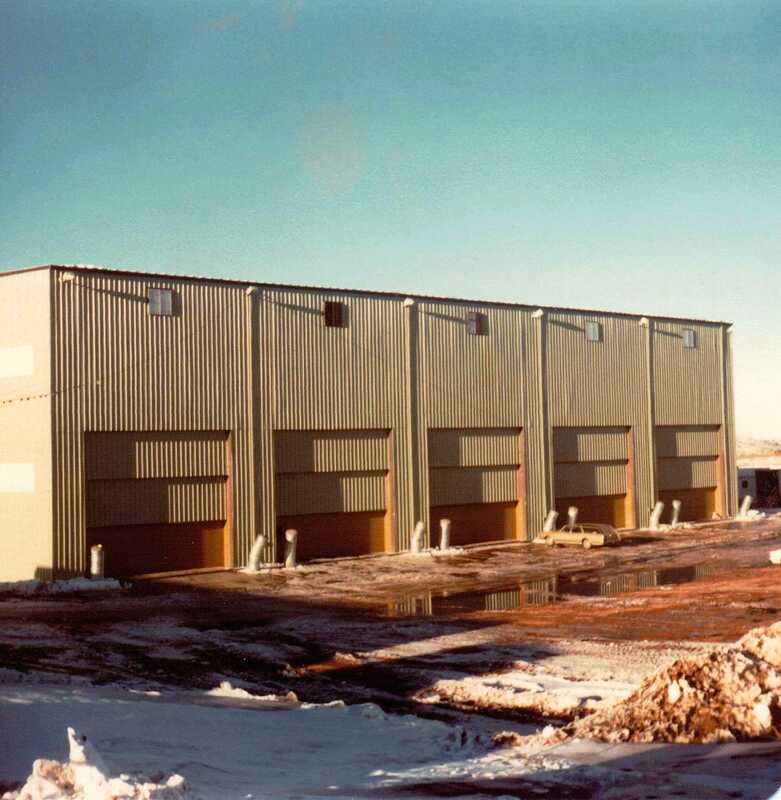 The active applications include doors on maintenance bays and haul truck facilities that have been providing service for over 60 years. 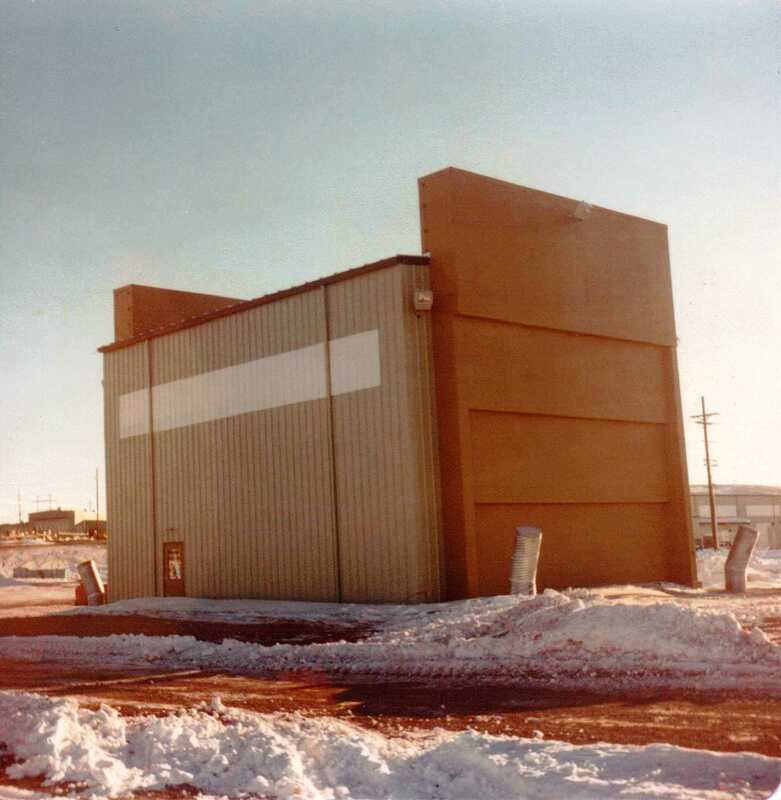 Minimal maintenance was provided during the 60 year time span. 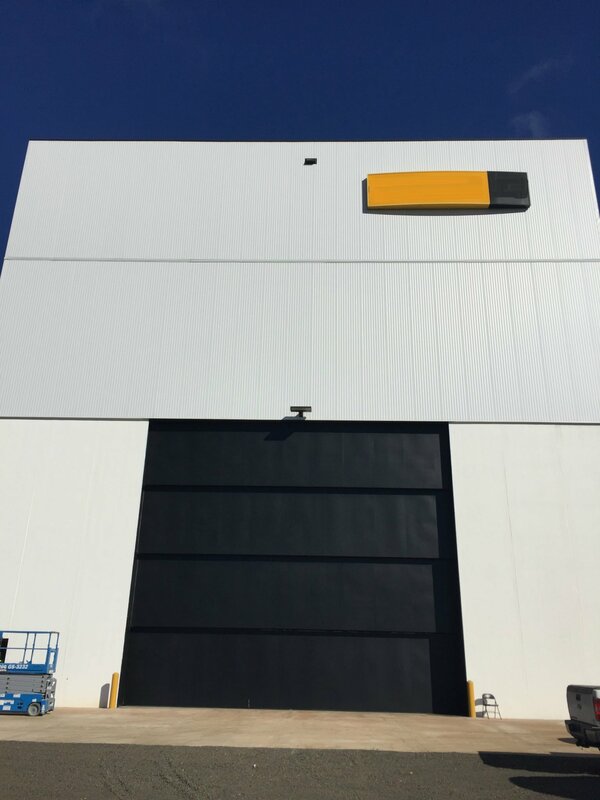 EPD Vertical Lift Doors with Revolutionary Safety Features and Sliding Doors are the most commonly used door styles for mining applications. 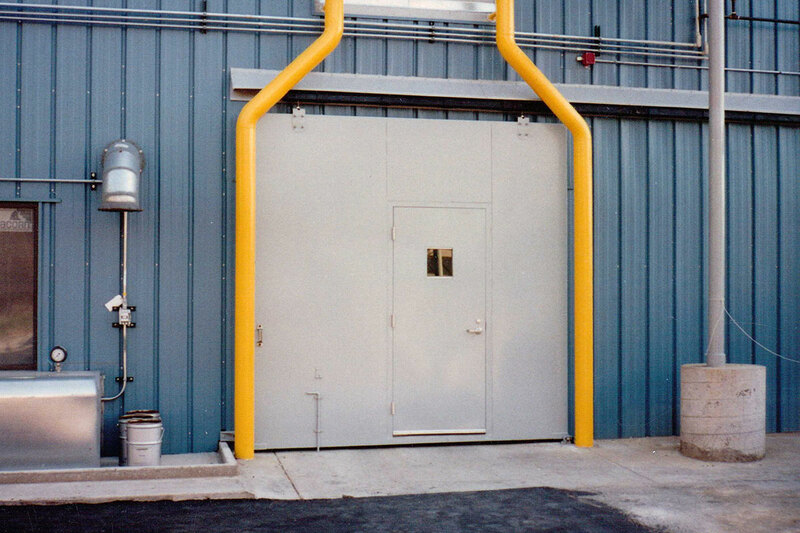 Long lasting cable and counter balanced operating mechanism that will last 20 times longer than the spring operated system used on rollup or sectional doors. Anti-friction guide rollers on door panels ensuring easy operation. 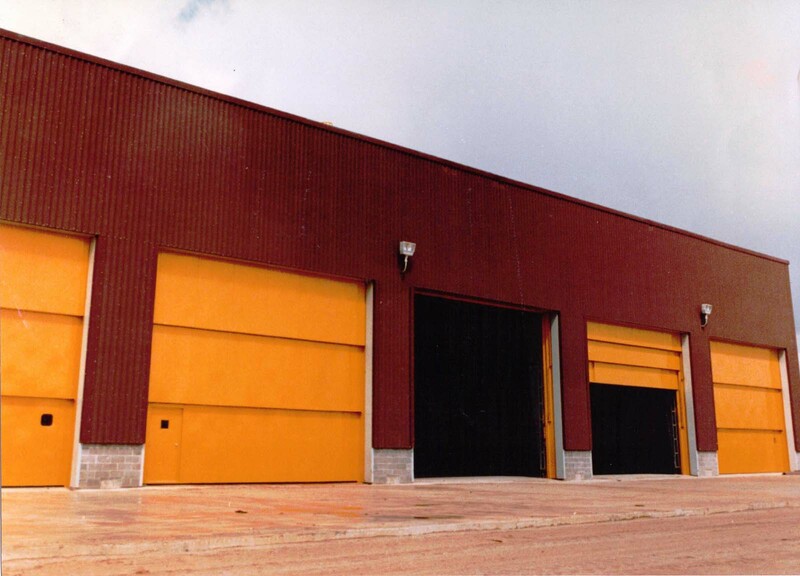 EPD doors stand up to high wind loads and extreme environmental conditions. 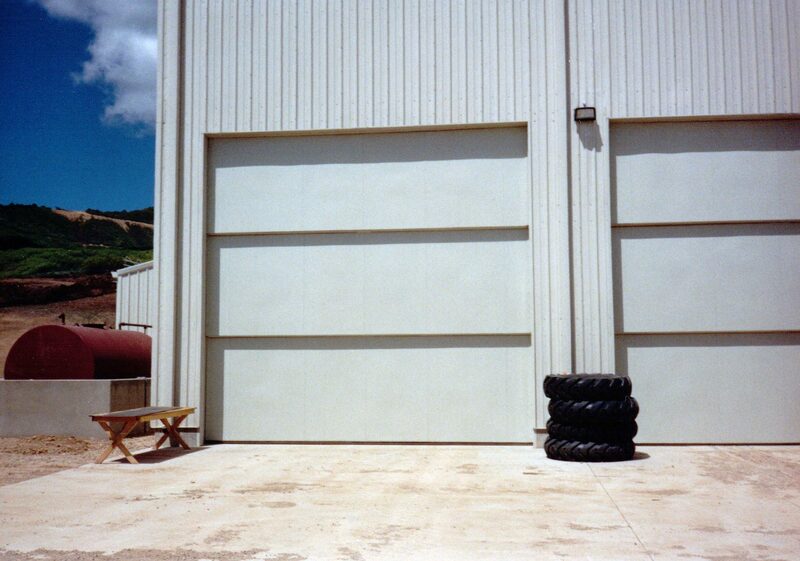 Contact Us today for more information regarding EPD Doors! 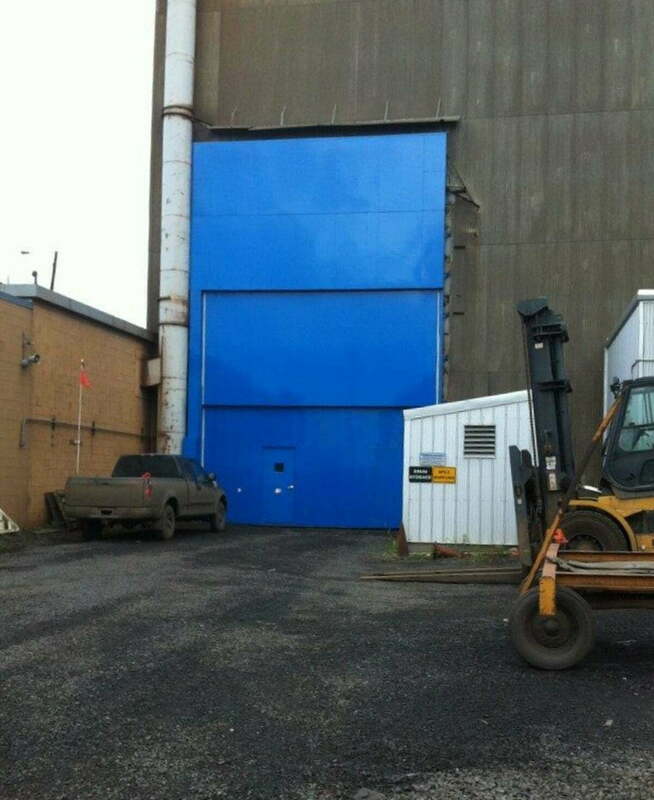 EPD 3 Section, Interior Mounted, Vertical Lift Doors with Pedestrian Doors Hibbing Taconite Truck Shop, Hibbing, Minnesota. 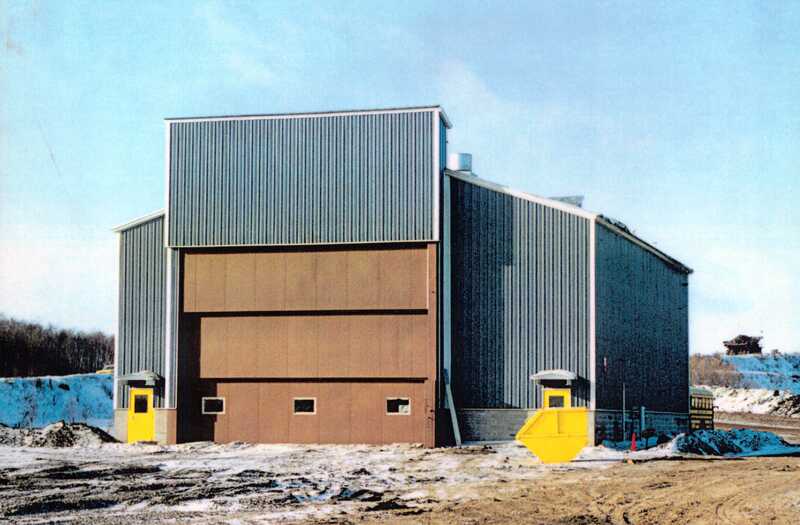 EPD 3 Section, Exterior Mounted Vertical Lift Door Empire Mine, Michigan. Top Hung Sliding 1 Leaf with Mandoor Los Pelambres Chile. 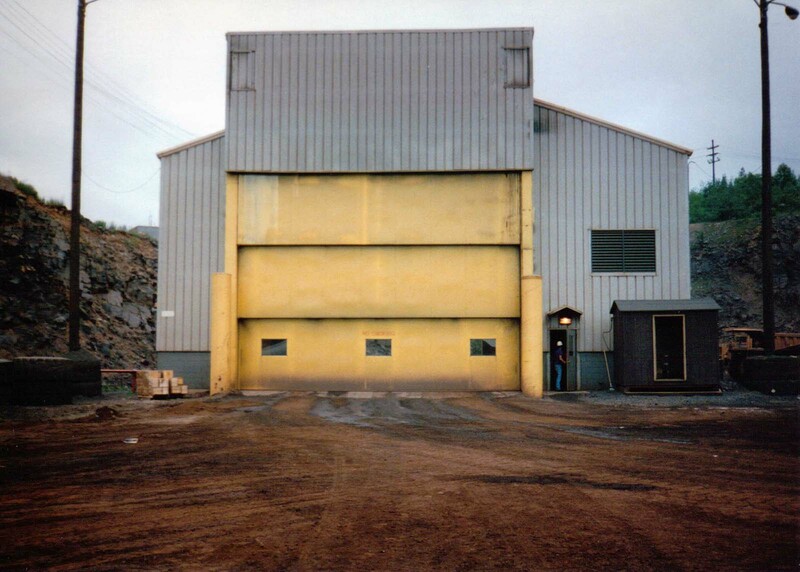 Vertical Lift Barney Canyon Truck Shop UT. 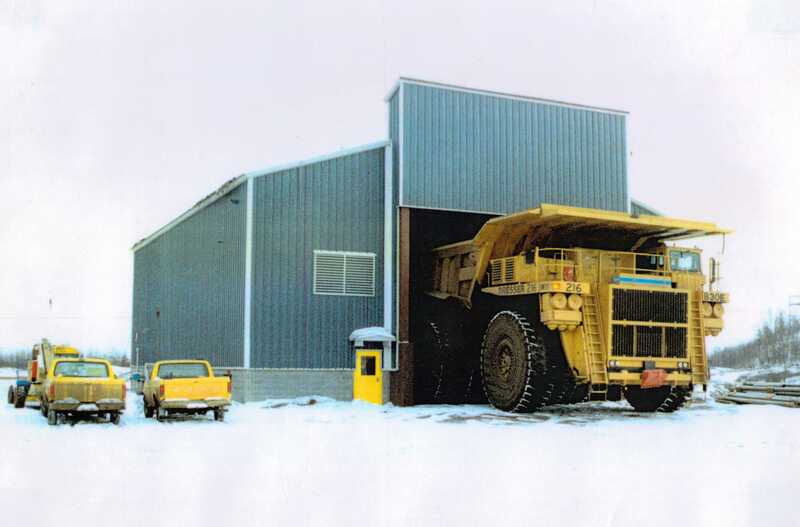 Vertical Lift Colowyo Coal CO.
Vertical Lift with Mandoor United Taconite MN. Vertical Lift with Vision and Mandoor Collahausi Mine Chile. 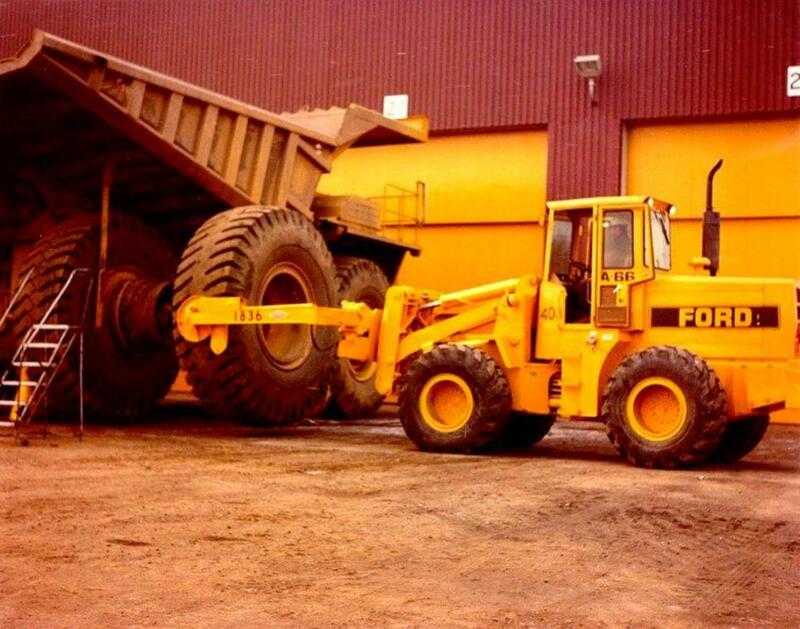 Vertical Lift with Vision Hibbing Taconite Refueling Facility MN.